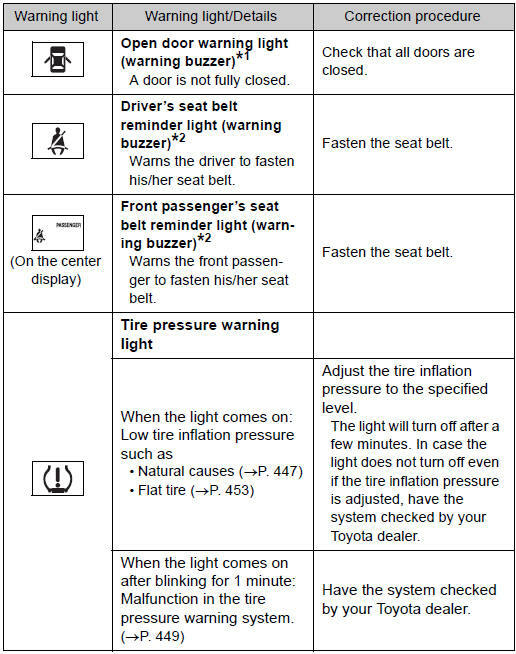 Toyota Venza: Follow the correction procedures. 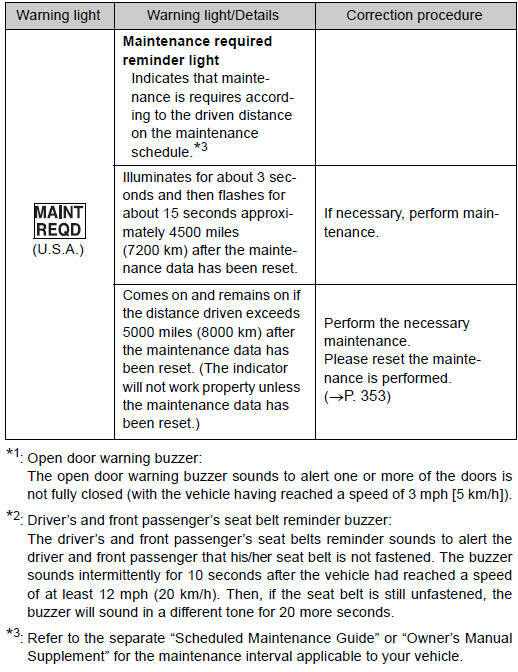 Toyota Venza Owners Manual / When trouble arises / Essential information / If a warning light turns on or a warning buzzer sounds... / Follow the correction procedures. 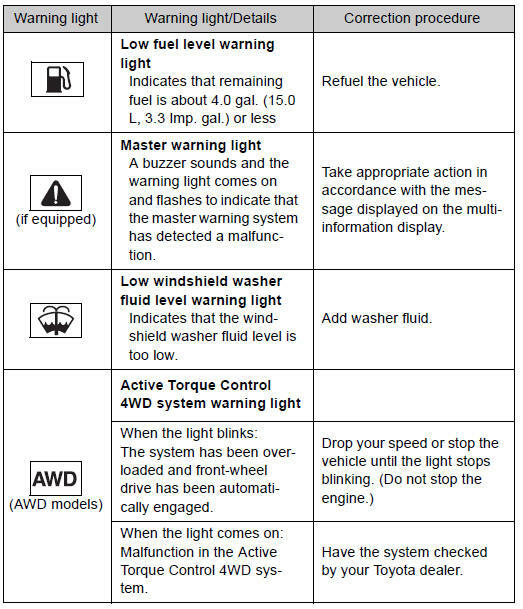 After taking the specified steps to correct the suspected problem, check that the warning light turns off. Have the vehicle inspected immediately.